Read and we totally loved it! Finished reading at Christmas - a superb read! We are reading this as part of our topic. ENGLISH - We are focusing on the features and structure of journalistic writing and producing our own news reports about Christopher Columbus. I've continued to read aloud the biographical story of Christopher Columbus and the children have been practising a couple of comprehension questions daily based on this. 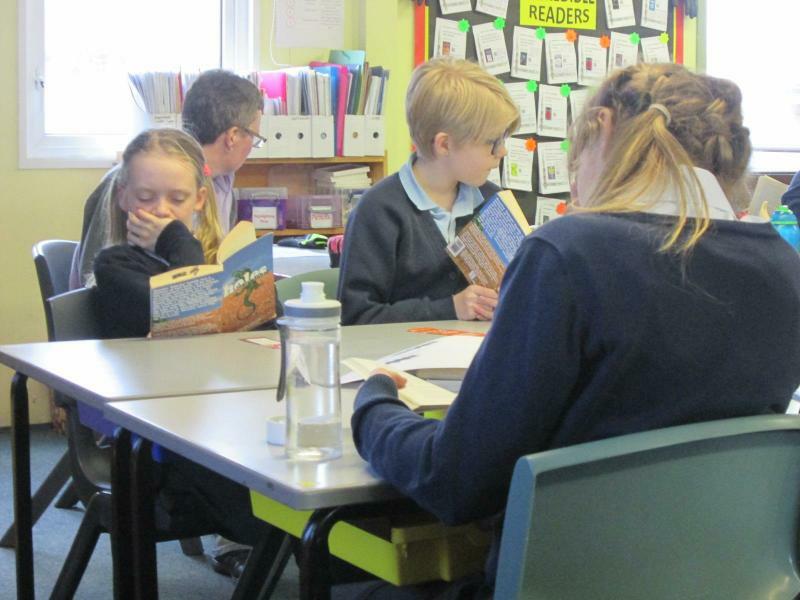 They've also continued to have independent and book talk reading sessions. 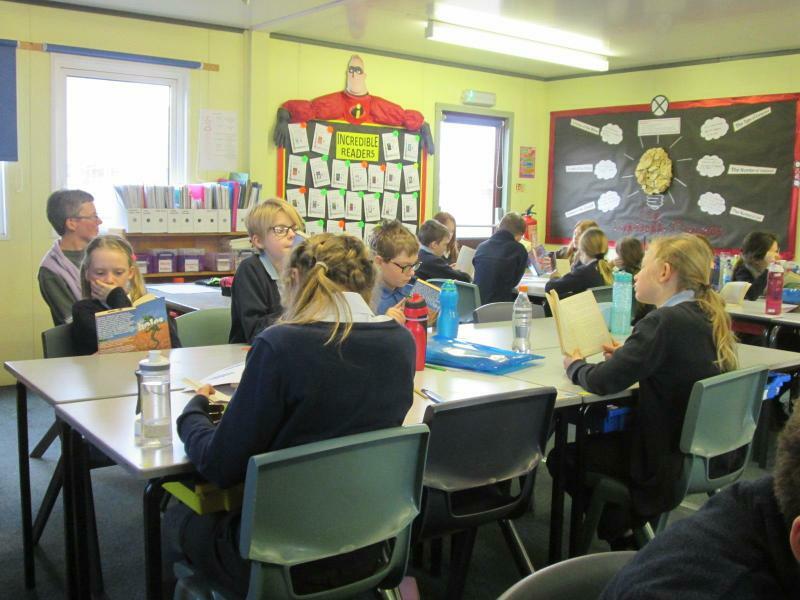 As you can see below, they are reading stars and have a great attitude to and love of reading! MATHS - Moving on from fractions, our main learning has been centred around reading and plotting coordinates in all four quadrants and also translation/reflection of shapes. This has linked nicely to our work on Columbus where we've translated points to retrieve gold. HISTORY/GEOGRAPHY - Our initial focus has been on the discovery of the North American Continent by various people and the positives and negatives associated with this. We know that Columbus landed in the Caribbean in 1492 and returned a few times, eventually finding gold. We're in the process of finding out about the effects of his visitations and debating sources of evidence. The children worked in two groups for their final task of this topic to debate whether Columbus was a good, talented navigator or an evil, reckless adventurer. They really got into the argument and produced some logical reasoning as well as counter-arguing their opposition! PSHE and PE - The children have been participating in dance lessons with Mrs Flowers and myself, part of which has involved them creating anti-bullying dances in small groups. They performed them to parents at the end of the day on Tuesday 22nd January. 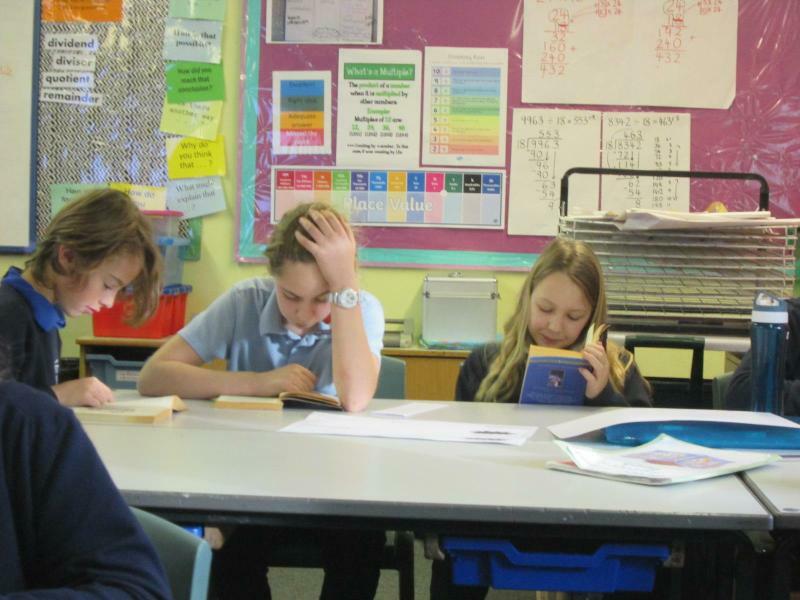 ENGLISH - The children are currently learning about how to construct sonnet poems. They've written their own sonnets based around an animated winter scene. MATHS - We are learning all about fractions. So far we have ordered, compared, simplified, ,added, subtracted and multiplied fractions. Now we are solving problems involving these before moving onto dividing fractions after the Christmas break. MUSIC - As part of our Music curriculum, we have studied and appreciated different musical pieces composed by Edward Elgar. His Enigma Variations are intriguing musical compositions which helped to inspire us into creating our own variations based on one of our friends. Here are some of our posters. To see more of them and our recorded videos of us performing, click the links below the calendars. ART - We created our calendars based on our class book - Wolf Wilder by Katherine Rundell. We used photocopied pages from the text and our own imaginations to create beautiful pieces of art work. 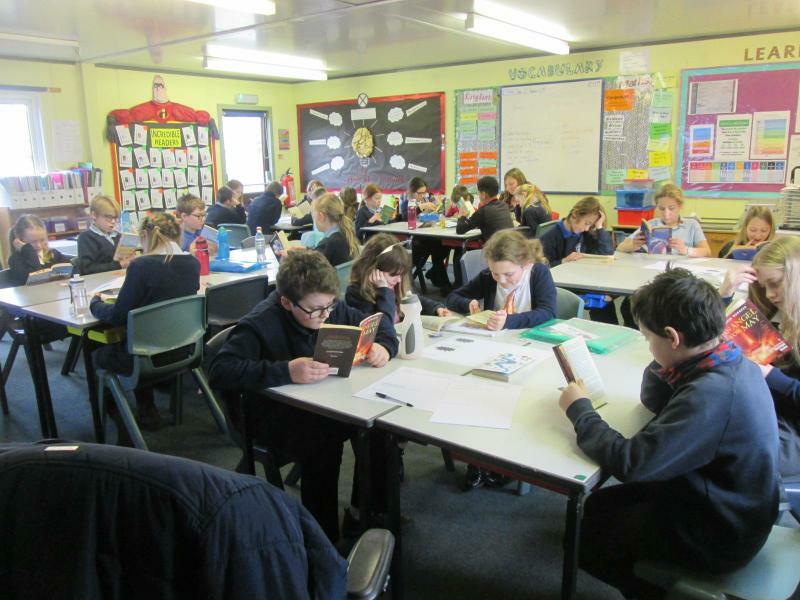 ENGLISH - In English, we have been writing our biographies about a World War One soldier using a teacher model and pupil writing structure. We've come up with some really interesting ideas and well-constructed sentences. 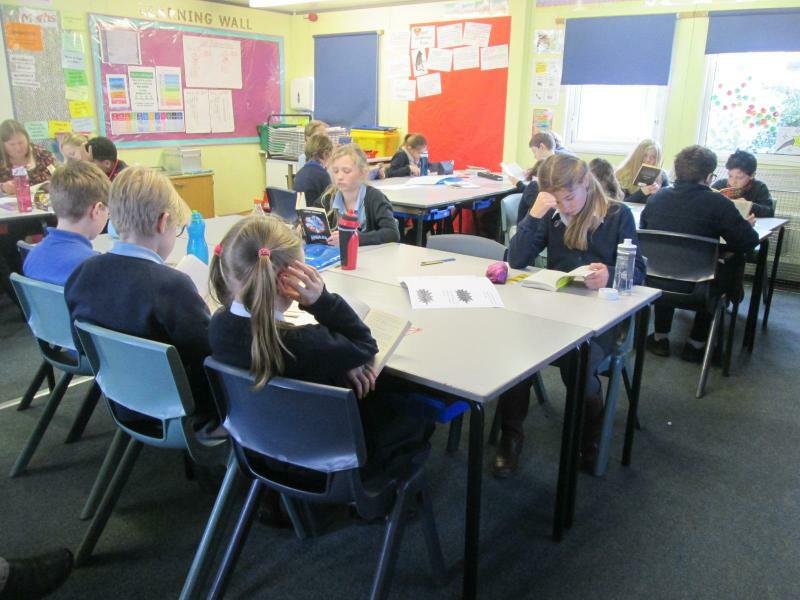 Our Biography BIG WRITE is on Friday 23rd November where we will be writing in style wearing our slippers, listening to WW1 songs and sucking on old-fashioned humbugs. We're now learning about the structure of sonnet poetry. Watch this space! MATHS - Our topic on fractions has begun. So far, we have simplified fractions using our knowledge about finding the highest common factor. We've also started to compare and order fractions with different denominators by using cuisinaire rods, bar diagrams and abstractly finding the common denominator. SCIENCE - We've had loads of fun in Science investigating how we can alter the brightness of the bulb in a circuit. To our surprise, pencil lead is a resists some electricity but it depends how soft or hard the pencil lead is! To conclude our topic, we've used our knowledge to create electrical items for a Dragon's Den competition. MUSIC - As of Monday 19th November, Miss Carr has introduced us to Edward Elgar - a composer who lived at the end of the 19th century and composed famous pieces of music used to remember those who have died in war. We are listening to a different piece of his music each day at the moment and reflecting on the dynamics, pitch and tempo of the composition. HISTORY - We were visited by a World War One soldier who talked to us about life in the trenches. He was very realistic and we learnt lots of new facts to add to our repertoire. We've now been at school for three weeks and settled into life as Year 6s. 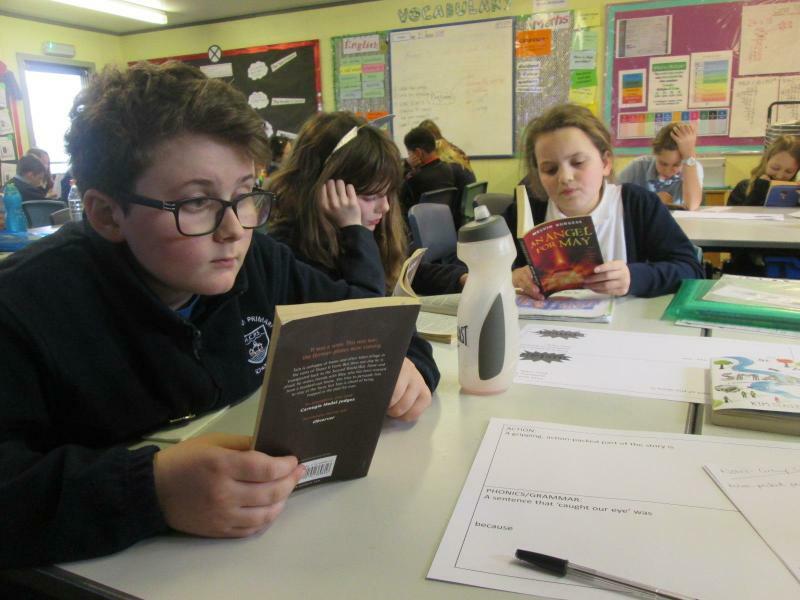 English - For the past three weeks, we have focused on a class novel called 'Private Peaceful' by Michael Morpurgo in our daily class reading sessions. We've also been looking at making comparisons using conjunctions and front adverbials. After reading the book, we went to Norwich Playhouse to watch a stage production of it, noticing several similarities and differences. At the end of the unit, we wrote a letter to either the author or the theatre company to point out our main comparisons and opinions of these. We are going to e-mail some of our work which is giving our writing a sense of purpose. Maths - We have been concentrating on place value and number with a specific focus on CPA (concrete, pictorial and concrete) representation and reasoning. We have explored large numbers and negative numbers through playing games, proving/disproving conjectures and using our cooperative learning groups share strategies. PE - The main sport focus has been rugby with a focus on passing, defending/attacking and tactics. History/DT - We've been learning about how World War One began and trench warfare. So far we've started making our own trench system models using primary and secondary sources of evidence. We've also been researching important dates in 1914, ready to start plotting on our own timeline scrolls.